Peter Foucault MAP project receives Zellerbach Family Foundation grant! I am pleased to announce that The Mobile Arts Platform (MAP), an artmaking and curatorial collaboration with Chris Treggiari, has partnered with the Bayview Opera House and Barnaby Coast Amusements, and received a Zellerbach Family Foundation grant to support programming in Mendell Plaza on Saturday July 20th! Please stay tuned for updates, should be an amazing event! Peter Foucault artwork at Mezzanine Saturday June 15th! 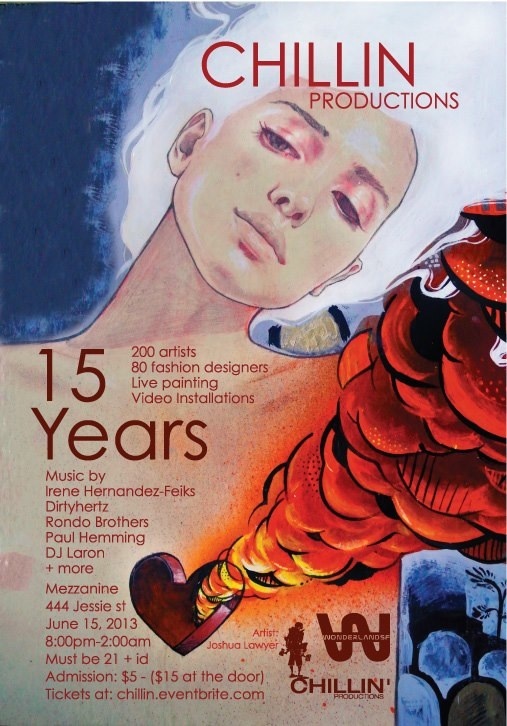 If you are down in SOMA on Saturday June 15th I invite you to please stop by Mezzanine and check out this incredible show celebrating the 15th Anniversary of Chillin Productions. 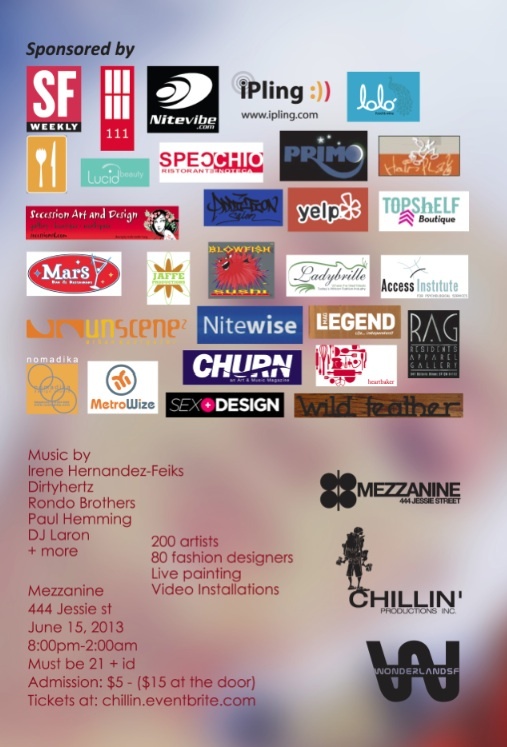 Will have amazing local artwork, designers and music! I will have three new drawings included in the event.